Understanding the role of the extra-cellular matrix (connective tissue) in modifying and influencing cell behaviour. I have not always been interested in lung research so my pathway to where I am now was not a conventional route. I have always been fascinated by the body, how it works and the impact of drugs. Receptors fascinated me. I had every intention as a first-year science student of developing the male contraceptive pill. However, my courses didn’t map correctly for me to realise this dream. During 3rd year Pharmacology, I had the opportunity to undertake a semester project with a cutting-edge technique called autoradiography and it just happened to be in the lab of an eminent respiratory researcher (Prof Roy Goldie). My project was to map the distribution of adrenoceptors in the lung. I stayed in Prof Goldie's lab to do Honours and then worked in the pharmaceutical industry for a year. I then returned as a PhD student working out how the epithelium regulated smooth muscle contraction and how this is dysregulated in asthma. My interest in pulmonary fibrosis occurred later (1997) after I returned from a post-doctoral fellowship in Canada. Contribute to a meaningful improvement in the treatment of Idiopathic Pulmonary Fibrosis. Breakdown barriers preventing researchers accessing relevant and well phenotyped clinical material - ie organs (eg lungs, hearts). This would speed up our understanding of disease enormously and hasten development of effective therapeutic agents. Reverse the significant under appreciation by Australians for their overall lung health. If we can find a common mechanism underlying excess deposition of connective tissue, we will have an avenue of therapy for a myriad of other chronic diseases of the lung (asthma, COPD) and other organs (skin, liver, kidney, heart). Professor Knight obtained his PhD from the University of Western Australia in 1993. In 2004, he was recruited to the University of British Columbia (UBC) as the Canada Research Chair in Airway Disease. 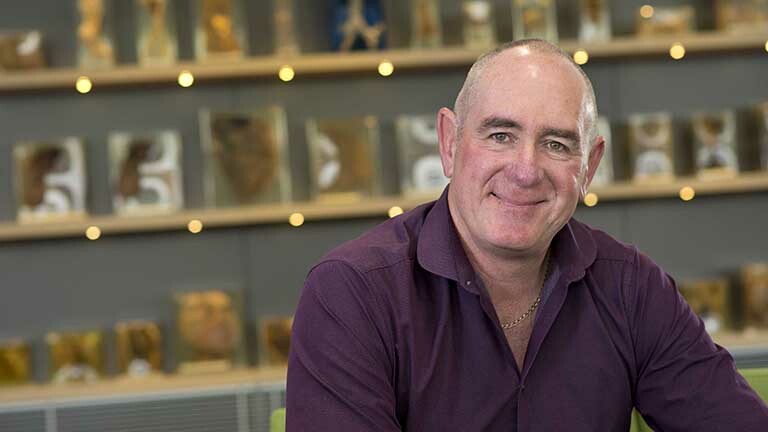 He was then recruited back to Australia in 2013 and is currently the Professor and Head of School of Biomedical Sciences and Pharmacy at the University of Newcastle. Professor Knight is an experienced cell biologist with an international reputation in the area of lung and airway remodelling. His research career has focused on understanding how abnormal epithelial cell-fibroblast interactions influence the severity and chronicity of respiratory diseases, such as asthma, pulmonary fibrosis and COPD. He has published 133 peer-reviewed manuscripts and book chapters (h-factor 39; 4895 citations - Google Scholar, March 2015). He has a strong track record of obtaining research grant funding (>$18M), including leading a successful application for $7 million dollars from the Canadian Foundation of Innovation in 2012 for infrastructure and equipment. He is regularly invited to present his work and chair sessions at major national and international meetings. Professor Knight has a strong research leadership credentials. From 2009-2012 he was appointed to the role of Associate Director of the internationally renowned UBC James Hogg Research Centre and sat on the executive committee of the Institute for Heart and Lung Health. He sits on several national and international scientific research committees, and is on the editorial board of 5 international journals, including as Associate Editor and Australia-Asia Editor. He has supervised 5 post-doctoral fellows, 10 PhD and 2 MSc students to completion and over 18 graduate students. He currently supervises 2 PDF’s, 1 PhD and 1 MSc student.